Waychinicup National Park is a 45 minute drive east of Albany, covers 5,310ha and is a vital safety haven for many threatened animal species such as Quenda, Ring tailed possums and one of the few mainland populations of Quokkas. The critically endangered Noisy Scrub-bird, which was once thought to be extinct, is found within the park. The Western Bristlebird is another vulnerable species that is found within the park. Thank you Brad Donaldson for your stunning photos. 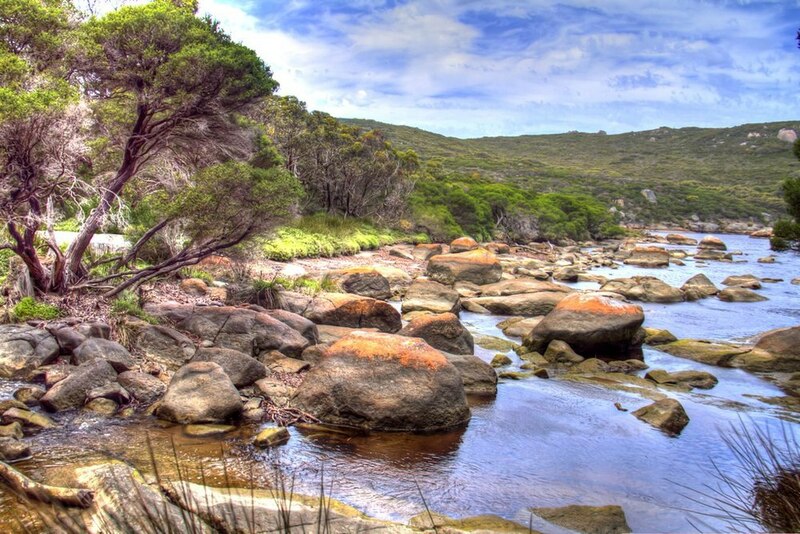 The park encompasses the lower reaches and estuary of the Waychinicup River in the Albany Region and a line of granite outcrops extending east to Cheynes Beach. The park offers and array of landscapes from the rugged coast to boulder strewn hilltops. Tree filled deeply incised valleys have fresh water streams flowing through them and are covered in moss covered boulders. The park is bordered by the Southern Ocean to the south, Mount Manypeaks Nature Reserve to the east and agricultural land to the north. The coastline of the park is enclosed between Normans Beach and Cheynes Beach.